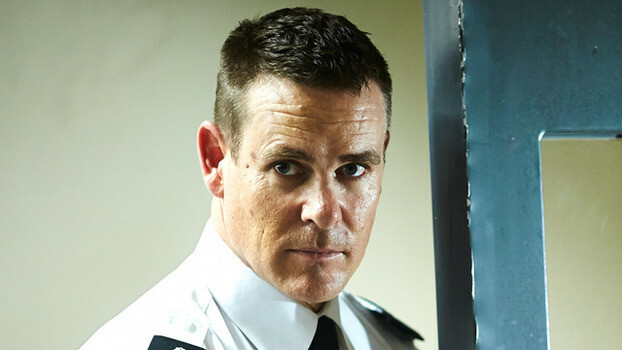 Aaron Jeffery could be seen as prison guard Matthew „Fletcher“ Fletcher at the series Wentworth in 2013. Fletch, a burly Aussie bloke, has fixed ideas about right and wrong. To call him a redneck is unkind, but perhaps not too far from the truth. He has trouble with women in authority. He has a ‘damaged goods’ feel about him that is both unsettling and attractive. He is a loyal friend and a good workmate to have watching your back. After serving in East Timor not a lot shocks Fletch. However he is uncomfortable in social situations, especially big groups and small talk. Fletch is awkwardly charming and definitely feels more comfortable camping out on his own in wide-open spaces. Fletch doesn’t try to get to know the inmates like other officers do. He is not interested in their sob stories. In his view they have broken the law and their punishment shouldn’t be a holiday. His black and white view of the world makes him a reliable officer. You know Fletch will never bend the rules out of sympathy or a moment of weakness.